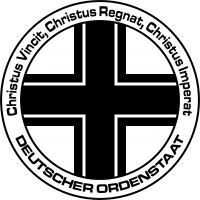 “Christus Vincit, Christus Regnat, Christus Imperat” (Christ Wins, Christ Reigns, Christ Governs) Motto of the Teutonic Order. The Order of the Teutonic Knights of Saint Mary of Jerusalem was created by papal bull on the eve of the NeoColonial Wars. Their mission was to be the spearhead of the Holy Church in border and contested territories, defending the sacred rights of the Christian Church through force of arms. 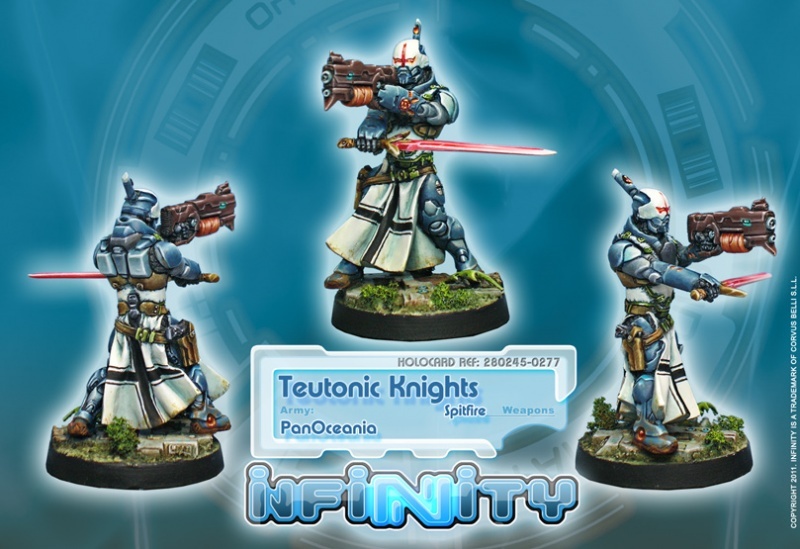 The Teutons were initially stationed on Paradiso, where they were involved in the NeoColonial Wars, and later distinguished themselves against the forces of the alien Combined Army. It is unusual to see Teutons outside of Paradiso, though gossip about them has spread across the Sphere. 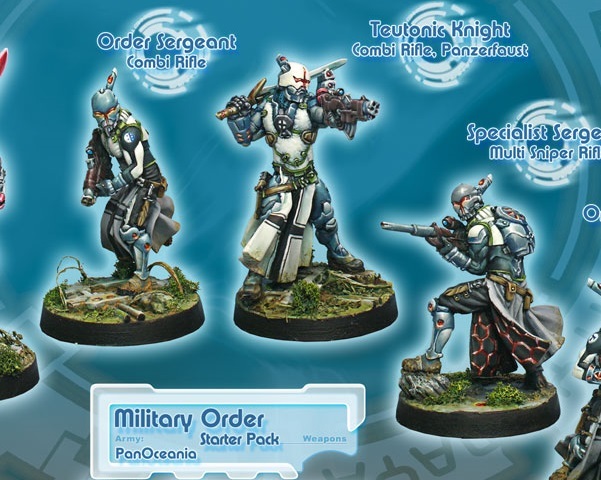 Word is that they are gloomy and somewhat savage, that their operational base is on the Northern front, far from their command center, and that they protect alone the frontier line. 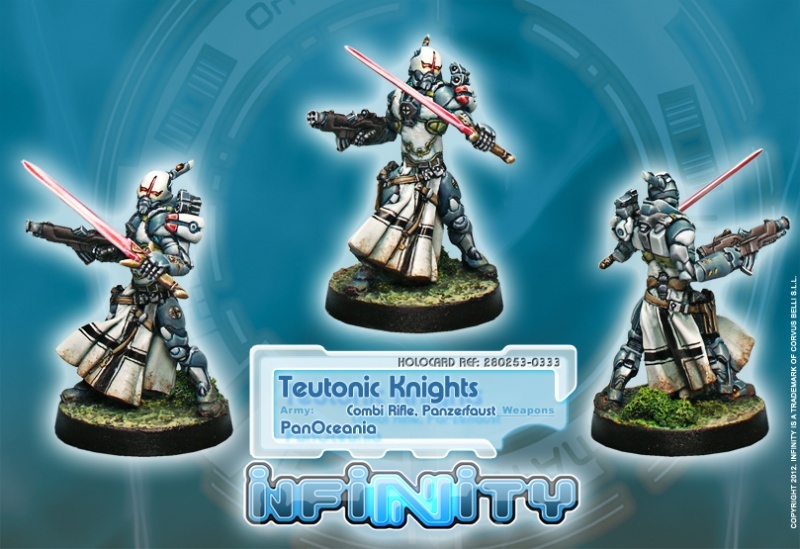 It’s also said that the Teutonic Knights are characterized by an unshakeable faith and outrageous warlike fervor, the most fanatical of troops in combat. To maintain its high prestige, the discipline of the Order is distinguished by its strictness. Their members receive the best physical training, greatly valuing hand-to-hand combat. The goal of any member of the Order is glory in combat. The Teutonic Knights fight like desperate men, for whom danger doesn’t exist. They greet the enemy with a close-up burst and then, without missing a beat, jump on them with swords and rifle butts. They attack with such fury and frenzy that anyone witnessing it would say they are a bunch of enraged madmen. This page was last modified on 2 December 2018, at 04:49.